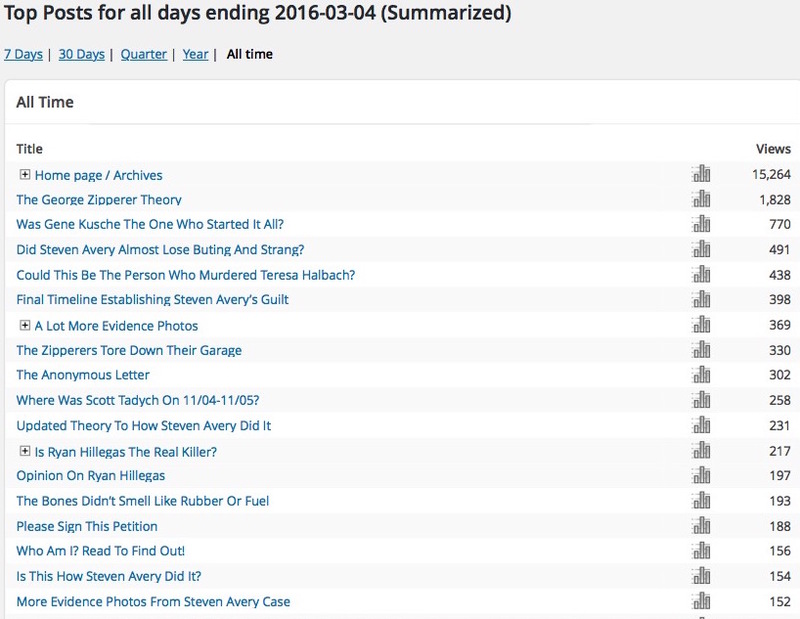 Are you interested in knowing what’s the most read theory on my blog (and possibly on the internet) on who could be the main suspect in killing Teresa Halbach? It’s the George Zipperer Theory. The numbers below are from WordPress stats and Google search analytics. 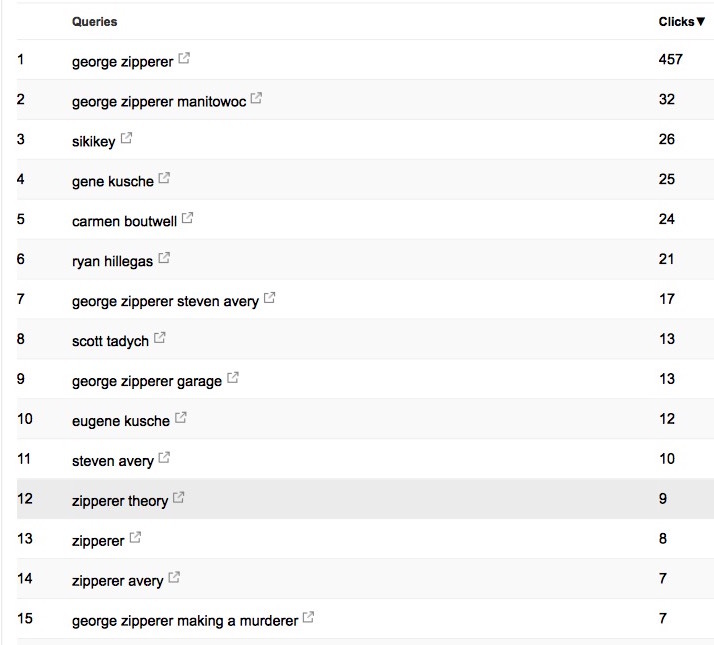 As you can see, the blog post “The George Zipperer Theory” and the search term “George Zipperer” (and variations) are dominating all other posts/terms – by a HUGE margin. I used to have George Zipperer as my main suspect, but then I moved him down the list after looking into Ryan Hillegas and Scott Tadych . It seems as though a lot of people are really thinking George Zipperer is the main suspect OR that’s the only theory people are hearing about (which I find odd because I think Scott and Ryan are tossed around a lot. What do yo think? Is George Zipperer the main suspect? Why do you think it’s the most read theory? Is it because it’s the best theory? The most plausible theory? I don’t know why. Please remember – this is only my data from my site and doesn’t represent any other websites data. Don’t forget, all the theories on this blog are just that – theories. They are for entertainment purposes only and are not to be taken seriously. Thanks for stopping by and reading! As a reminder, there are other theories besides George Zipperer posted here – check them out here! Share This With Your Family, Friends and Strangers!